National 3T’s “K Club” Team; Templemore Club Captain Tommy Foley, Sean Lee, Sara Hearne and Anne Kenny, who secured 3rd place in the provincial rounds at Dundrum where the winning team had 83 points, competed in the National 3T’s at the K Club on Monday 22nd. October . Playing on the K Club Ryder Cup Palmer Course with par 3’s measuring 270yrds. and the course length 7,350 yards, off the white markers, proved very daunting for our team. The competition was won by Mulranny Golf Course with 83 pts. The same result as the winning team in Dundrum so it could have been possible for Templemore to succeed. However, it was a great experience for the team to play on the Ryder Cup Course, which must have been a special privileged feeling, when teeing off where all the greats of Golf stood. Well done to the team in representing Templemore Golf Club in the K Club. Week-end Golf; All members are requested to participate in the week-end Saturday or Sunday golf. This participation is vital for the survival of competitions and also for the selection of players for competitions representing the club; The results for week-end Sat. 20th/Sun. 21st. 18hole S/f. were; 1st. John Fitzpatrick, 36pts. 2nd. Liam Daly, 33pts. 3rd. Paddy Bourke, 33pts. Back 9, Tony O’Toole, 18pts. The results for week-end Sat. 27th/Sun. 28th. 18hole S/f. were; 1st. Michael Purcell, 33pts. 2nd. Les Hogan, 29pts. Ladies Golf; “The Men’s Prize” to the ladies will take place on Tues 30th. Oct and Sat 3rd Nov. Please note that and the Sat draw times are 10.30am and 2.30pm. “Ongoing 9hole” competition for Christmas fare. “9 hole social mixed fundraiser” On Sunday 11th. November we are running a special 9hole social mixed fundraiser in support of the Stapleton Benefit fund. Entry fee is €10. The draw will be at 1.30pm. and we encourage as many members as possible to play. Alternatively, all are welcome in the clubhouse afterwards for the prize presentation, tea and sandwiches where we will have a donation box for those that cannot play. Ladies AGM; The proposed date for the AGM this year is Wed 12th of Dec after which all outstanding prizes will be presented. The Seniors; On Thursday 25th. there was a great turnout of players in what was a great day for golf. The team results were; 1st.Team, on a count back with 53 pts were Seamus Bourke, Mick Carey, Sean Gleeson. 2nd.Team, also with 53pt was Pat Dunne Eddie Butler Sean Lee, Paddy Nolan. 3rd. Team, with 48pt. Liam Daly, Pat Maher, John Galvin, Pat Costello. There was an amended result to the O’TOOLE Trophy which was played for two weeks ago. The wìnner with 23 pts was Jim Russell. Congratulations were expressed Jim. New Members for 2019; New members are now been accepted for 2019. Early Bird applications will have the advantage of completing this year golf season. All current members are encouraged to introduce at least “ONE NEW MEMBER” Lady or Gent, Junior or Student, Seniors Juveniles and Family, Active Retiree’s or any person interested in taking up the sport. It will be a huge advantage to building the club membership and profile. Registrations Forms for new members are now available on-line on our web site, or at the club house or contact Martin Bohan 087 0509278 or any of the committee members. Also, membership payment options can be made through the Golf Club web site link; http://templemoregolfclub.ie/membership/ All will be welcomed. Golf Ireland; “Clubs in Golf Ireland” – All clubs currently affiliated to the GUI and ILGU will automatically be affiliated to Golf Ireland on its establishment. Each club will affiliate as one entity to Golf Ireland and clubs will be members of the company. Golf Ireland will provide support and guidance to clubs on how to manage the process of change from ILGU/GUI affiliation to Golf Ireland. – The CGI will be dissolved and the services that it currently provides will be retained and extended by Golf Ireland. These services will be delivered at regional level, so clubs will have direct contact with their development/club support officer. – Many sports in Ireland are administered on a provincial basis and it is a structure that has served them well. Golf Ireland will have a National Board which will be appointed by affiliate clubs at the AGM. There will be four Regional Executives, consisting of 14 members nominated by affiliate clubs and elected by clubs at Regional AGMs. The administration of Golf Ireland will be managed from a central Head Office with support from the Regional Executive Offices. All of Golf Ireland’s regional offices will be sufficiently staffed to ensure the game of golf is administered efficiently in each region. – Events such as the Men’s and Women’s Cups and Shields will continue to be played and will be administered by Golf Ireland, as will the various championships for golfers of all ages. – A proposal will be developed on how to administer the competitions and how to integrate a new events calendar to facilitate women’s and men’s competitions. It is advised that all members keep themselves informed on this development. Reminder; Memorabilia of 50 Years of Golf in Templemore; Urgent call for memorabilia by PJ to all members past and present or anyone or families that were involved in golf to dig deep and search achieves for any memorabilia that they can find. Old photos, sayings, and good banter from the past that can be resurrected to make this project successful. All will be appreciated and returned as received after the process. Adopt a Bunker Project; Great work has been done on the bunkers. All members who have signed up to commit to adopting a Bunkers which is helping to keep the course in great shape is very much appreciated. Put your stamp on any bunker you feel that you can commit to looking after which will result in the presentation of the course to a high standard. The “Adopt a Bunker” form is on the notice board in the Locker room. New Golf Rules; Elimination or reduction of “ball moved” penalties: There will be no penalty for accidentally moving a ball on the putting green or in searching for a ball; and a player is not responsible for causing a ball to move unless it is “virtually certain” that he or she did so. Vice-Captain Prize; Tony O’Toole thanked all who turned out on Sunday 14th. which was a glorious summer day for golf. The winners were; 1st. Paddy Bourke. 2nd. John Greed. 3rd. John Mullally. Back 9, Ambrose Purcell. “The Men’s Prize” to the ladies will take place on Tues 30th. Oct and Sat 3rd Nov. Please note that and the Sat draw times are 10.30am and 2.30pm. “The McHugh Cup” A reminder to play the 18 hole mixed for the McHugh cup as soon as possible. AGM; The proposed date for the AGM this year is Wed 12th of Dec after which all outstanding prizes will be presented. on a count back; 1st. Team; Seamus Bourke, Mick Murphy, Pat O’Connell, Jim Russell. 2nd. Team; Liam Daly, Paddy Bourke, John Galvin, Mick Connell. 3rd. Team; John Mullally, PJ Leahy, Pat Costello, Ollie Murray. Next Seniors; Thursday 25th. Oct. Applications for 2019; New members are now been accepted for 2019. Early Bird applications will have the advantage of completing this year golf season. All current members are encouraged to introduce at least “ONE NEW MEMBER” Lady or Gent, Junior or Student, Seniors Juveniles and Family, Active Retiree’s or any person interested in taking up the sport. It will be a huge advantage to building the club membership and profile. Registrations Forms for new members are now available on-line on our web site, or at the club house or contact Martin Bohan 087 0509278 or any of the committee members. Also, membership payment options can be made through the Golf Club web site link; http://templemoregolfclub.ie/membership/ All will be welcomed. Golf Ireland; “Why” The creation of one governing body for golf will make it easier to promote the game. It will project a clear and consistent message that golf in Ireland is inclusive, contemporary in its approach and in keeping with modern societal views, while continuing to be healthy, challenging and fun. Ireland is the only country in the world that still has two separate governing bodies for golf, divided along gender lines. Membership numbers in clubs are challenging and the appeal of golf in Ireland, indeed as in the rest of the world, continues to decline. We need to do everything in our power to encourage participation by both men and women, boys and girls. Golf in Ireland was thriving in the 1990’s and early 2000’s, with approximately 220,000 people holding membership of affiliated clubs and playing the game. Over the last decade that number has fallen by nearly 40,000, as current membership numbers show 183,000 golfers as members of GUI and ILGU clubs. – Ireland is the only country left in the world to have two separate governing bodies for men’s and women’s golf. South Africa were the last to join and they did this in 2016. England, Scotland and Wales have all either merged or amalgamated between 2004 and 2015. – Golfers will still continue to play their golf. Change will not adversely impact on golfers’ enjoyment of the game. Clubs can continue to run their own competitions for members and visitors, as they currently do, with both men’s and ladies’ competitions. Golf Ireland will provide guidance and support to clubs and best practice guidelines, as our sport moves to embrace a more modern culture. It is advised that all members keep themselves informed on this development. Memorabilia of 50 Years of Golf in Templemore; Urgent call for memorabilia by PJ to all members past and present or anyone or families that were involved in golf to dig deep and search their achieves for any memorabilia that they can find. Old photos, sayings, and good banter from the past that can be resurrected to make this project successful. All will be appreciated and returned as received after the process. Adopt a Bunker Project; All members who have signed up to commit to adopting a Bunkers which is helping to keep the course in great shape is very much appreciated. Put your stamp on any bunker you feel that you can commit to looking after which will result in the presentation of the course to a high standard. The “Adopt a Bunker” form is on the notice board in the Locker room. Oct. GOY 18H S/F. Date, TBC. 3rd. Dec. AGM @ 8pm in the Club Lounge. Presentation Night Friday 12th. Oct. ; A fantastic night was had by all, Ladies and Gents and visitors for this special presentation of an individual fantastic “Claret Jug Crystal” awarded to all the team players by the Woodenbridge Golf Club to this successful JB Carr Team in bringing so much credit to Templemore Golf Club in their progression to capturing 3rd. national place in such a large field of players, 186 teams and 1860 players. The “Claret Jug” is the trophy presented to the winner of a major golf event “ The Open Championship” This event was truly an equal major Open Competition event, as the journey to get there to achieving a Munster Championship Title was long and very competitive. There is no doubt that this trophy will be an heirloom to all the team players and their famalies and accrediting them as “Competitive Golfers”. The Club is very proud of their success and long may they all continue to be “Competitive Golfers”. The Competition Secretary and team manager Liam Leahy was MC on the night and thanked all for their support during the campaign and a special thanks to the great numbers of Ladies who travelled to Woodenbridge for the final. Club Captain Tommy Foley made the presentations and thanked all the players for a fantastic and proud display of “Competitive Golf” that will put Templemore Golf Club in recognition into the Golf Fraternity. A great night continued with music by Tommy Foley and PJ Connolly and fantastic renditions by Club Members. Complements to Mary Francis and her Staff in Tom Maher’s Pub for their support to the event and the provision of great food. A wonderful and proud night. 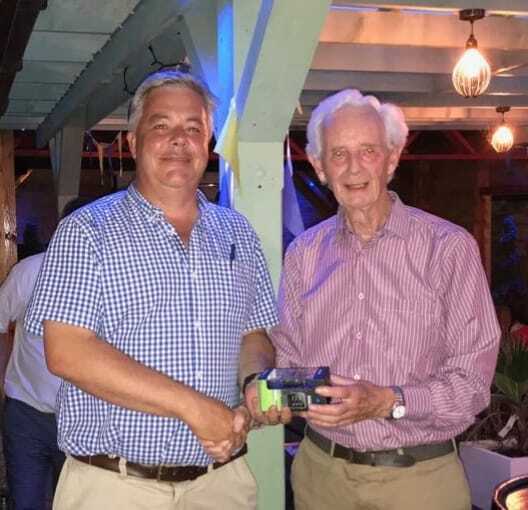 Life Long Serving Presentation; During the above presentation Night an “Honorary Member for Life” presentation was presented on a well design parchment scroll to Mr. Pat Costello for his lifetime service to Templemore Golf Club. 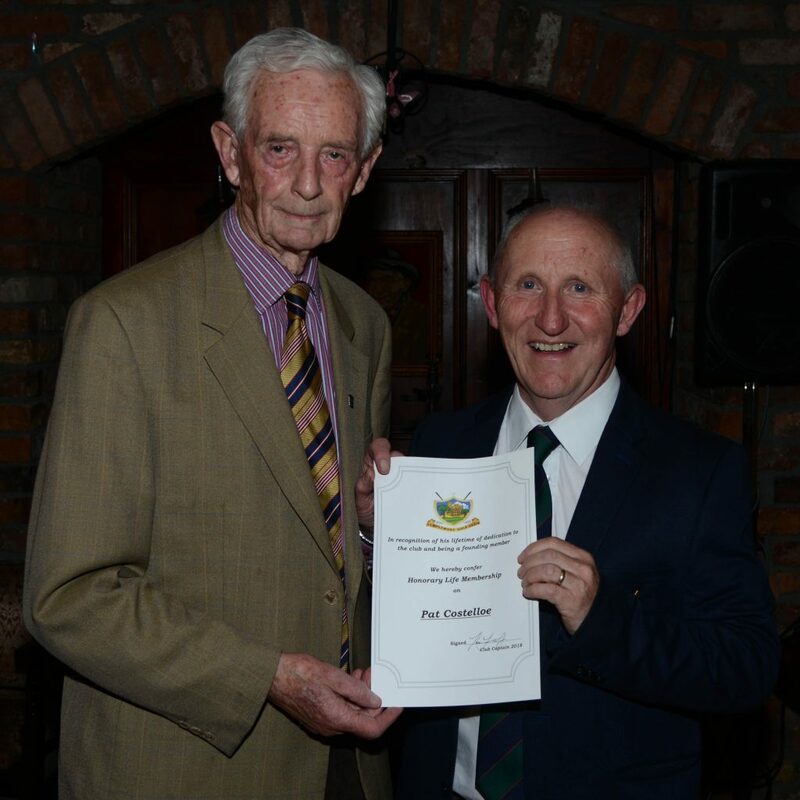 Pat Costello was giving the task of initiating and organising the first meeting of the Golf Club back in 1971. Pat was Captain in 1986 and president in 1984 and was chairperson for the 30th. anniversary celebration. Pat was also on the JB Carr team of 2002, who acquitted themselves well against Slievenamon but lost out to Nenagh in the second round. A brilliant dedicated historical past by Pat, and an encouragement to all members and golfers as we look forward to the 50th. Celebration in 2021. 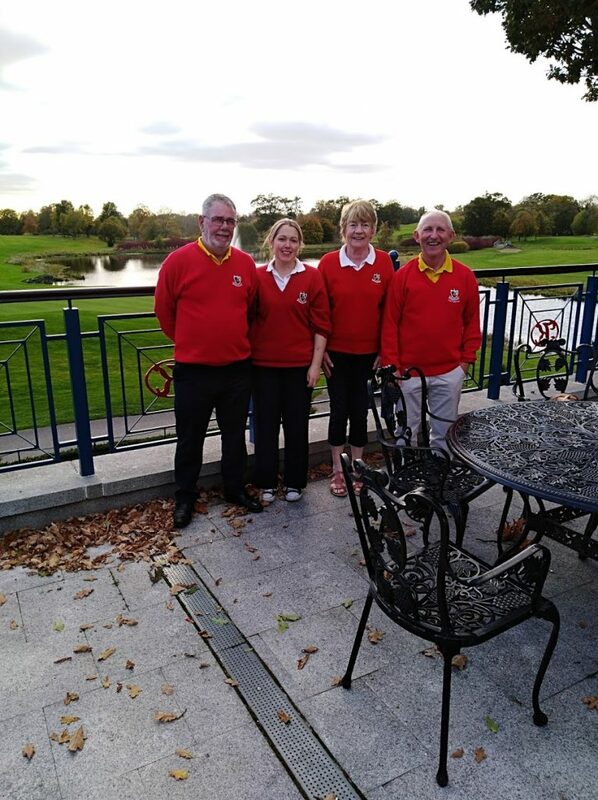 National 3T’s “K Club” Competitors; Best of luck to Club Captain Tommy Foley, Mary Hayes, Sadie Tynan and Sean Lee who secured 3rd place in the provincial rounds only narrowly pipped by Thurles and Loughrea at Dundrum Golf Club on Monday 10th. Sept. 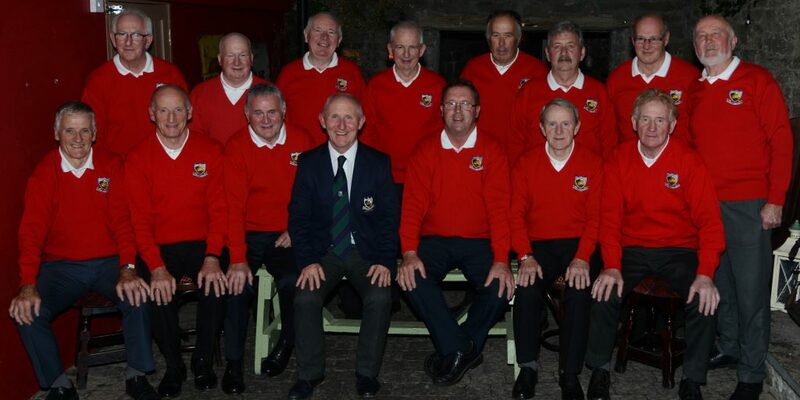 This Templemore team will now compete in the National 3T’s at the K Club on Monday 22nd. October. This is the 16th. Year of this popular 3T’s Golf Tournament, an awareness campaign to highlight the issue of suicide in Ireland at grassroots level. Best of Luck to all. The McHugh Cups Reminder; The competition will need to finish before 1st. Nov. All pairings are requested to contact and arrange mutual times. Also, one can arrange to play with another pairing or play with a marker. Any further information contact Competition Secretary Liam Leahy 087-4115773. Sat. 6th./ Sun. 7thd. 18hole S/F winners ; 1st. Captain Tommy Foley. 2nd. Tom Quinlan. 3rd. Les Mason. All members are requested to make a great effort to participate in this week-end 20th. and 21st. GOY. Ladies Golf; The Ladies Senior Alliance had a great turn out in numbers. The weather was excellent which created great competitive golf. Monday 24th. Sept. 9hole S/F. Result; 1st. Breda Murphy. 2nd. Ann Hogg. Garda Student Golf; There was a great turn out this week for the Garda Student “Interclass Challenge”. it was great to see such numbers of Garda Students availing of the Golf Course for their sport activity. 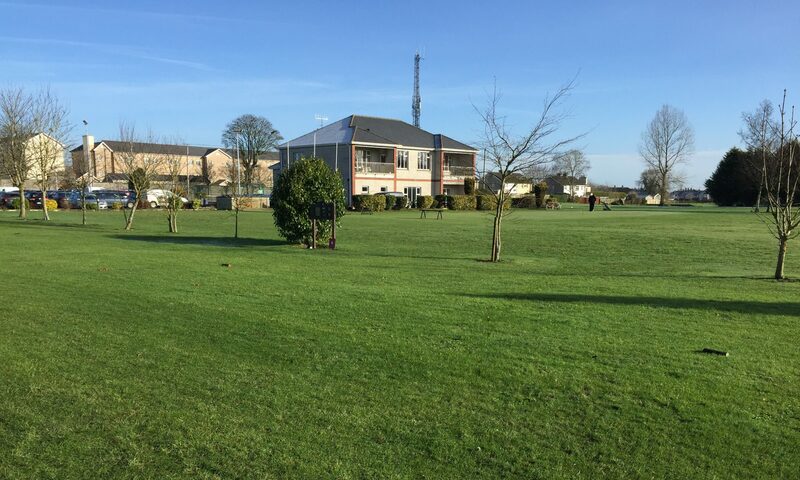 Templemore Golf Club has always reserved special rates for Garda Students of €70 euro or €5 for green fee to encourage them to take part in the use of the Golf Course for the duration of their stay in the College. The Seniors Away in Roscrea Thursday 11th. 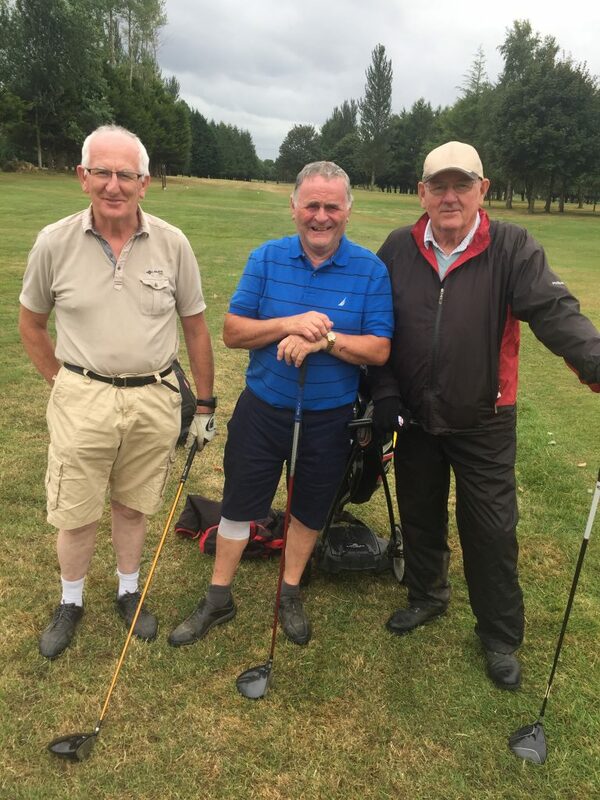 The Seniors away trip to Roscrea Golf Course was a fantastic success thanks to the great organisation by the seniors committee. The shotgun start was a great solution to everyone getting in for the fantastic meal on time and thanks to the catering staff. Complements were expressed by Seanie Gleeson to Centenary Co.Op for their prize sponsorship and for the continued support throughout the year and in return we should all show our appreciation in shopping local. 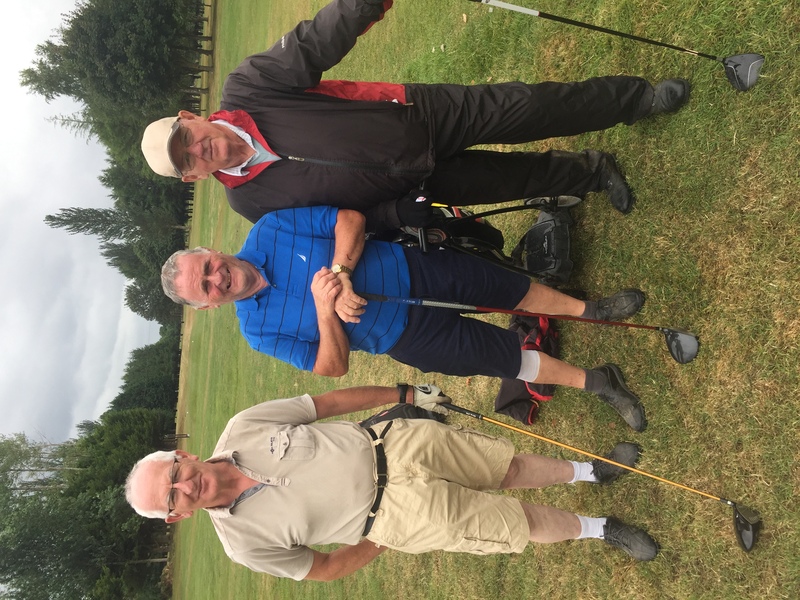 Also, sentiments were expressed to Rody Cawley and John Stapleton, wishing both a speedy recovery and look forward to both getting back into the Golf frame. The winners in Roscrea were; 1st. Team; Dennis Maher, John Mullally, Joe Hennessy. 2nd. Team; Seamus Bourke, Mick Murphy, Michael Webster, Ollie Murrey. 3rd. Team; Joe Fahy, Eddie Butler, Seanie Gleeson, Seamus Ryan. Next Seniors; Thursday 18th. will be contested for the O’Toole trophy. Playing details will be announced on the day. The Seamus Cody Cup will be coming up next. Enrolling New Members both Lady and Gents for 2019; New members will now be accepted for 2019. Early Bird applications will have the advantage of completing this year golf season. All current members are encouraged to introduce at least “ONE NEW MEMBER” Lady or Gent, Junior or Student, Seniors Juveniles and Family, Active Retiree’s or any person interested in taking up the sport. It will be a huge advantage to building the club membership and profile. Registrations Forms for new members are now available on-line on our web site, or at the club house or contact Martin Bohan 087 0509278 or any of the committee members. Also, membership payment options can be made through the Golf Club web site link; http://templemoregolfclub.ie/membership/ All will be welcomed. Rules of Golf; The 2019 Players edition on the “Rules of Golf”. There is a new supply now available in the Men’s Locker room. There is great interest in these new Rules as the first batch was taken up and now a 2nd. batch is available. Golf Ireland Club Benefits; “Golf Ireland” will have one vision and one strategy, for both men and women, to lead golf into the future. There will be increased emphasis on support and services for the member clubs of Golf Ireland. Family-friendly initiatives and promoting an inclusive environment will be at the forefront of Golf Ireland’s objectives. The aim of these initiatives will be to help attract more people to the game, to support ongoing harmonious relations in our clubs the length and breadth of the country, and to have families say as a group that “this is a sport for us.” This will inevitably heighten interest among commercial sponsors and Government bodies, as golf will be a more attractive proposition. Golf Ireland will work tirelessly to ensure the future is bright for the game of golf in Ireland. Explanatory Booklets are still available while stocks last, in the Club Locker Room. A power point presentation is now available on the benefits of this new initiative. Members who want a copy can email, info@templemoregolfclub.ie It is advised that all members keep themselves informed on this development. Amanda Benefit Fundraiser. Date TBC. Adopt a Bunker Project; Winter work required to all the bunkers. All fringes of the bunkers have been groomed and a noticeable amount of players have signed up to commit to adopting a Bunkers which is helping to keep the course in great shape. Put your stamp on any bunker you feel that you can commit to looking after which will result in the presentation of the course to a high standard. The “Adopt a Bunker” form is on the notice board in the Locker room. New Golf Rules; Removing the penalty for a double hit: The penalty stroke for accidentally striking the ball more than once in the course of a stroke has been removed. Golfers will simply count the one stroke they made to strike the ball. (Key change: the proposed Rules released in 2017 included the existing one-stroke penalty).